Astralia – Clarity feet accessories by Astralia. Lamb. Sunshower by Lamb Bellic – New @ Summerfest 2018. Caverna Obscura – Rose of Eden *Soft ROSE* (gacha) by Elvina Erwing. 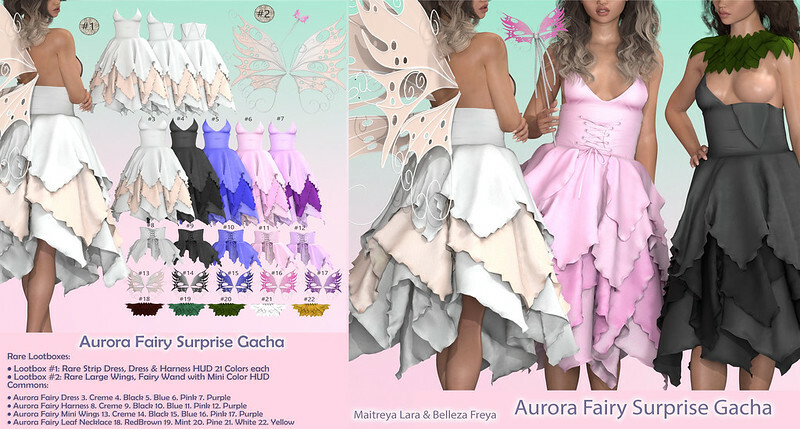 Vanilla Bae – Aurora by Hopey Honi – New @ Lootbox. Astralia – Magic Garden Swing by Astralia. Hextraordinary – Pesky Pixies by Corwin Lacourte.